905 S San Jacinto Street Hemet, CA. | MLS# SW19016401 | Temecula, Murrieta, Menifee Homes for Sale & Property Management! BACK ON THE MARKET!! Due to buyer non-performance. BRING YOUR RV & YOUR TOYS!! 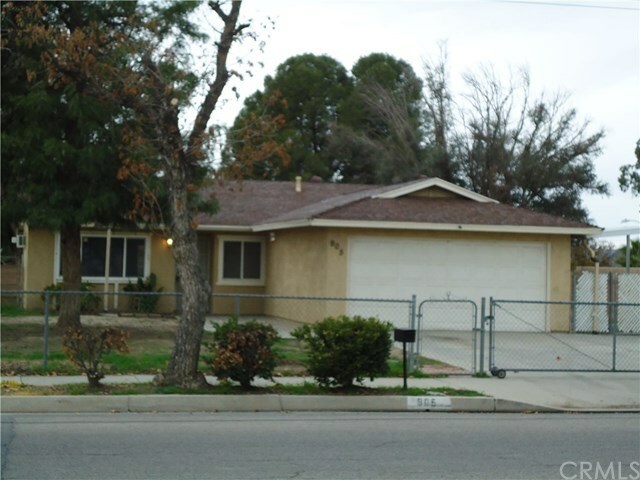 Nice home on a large gated lot in a convenient HEMET location. Close to schools, shopping, parks & restaurants, this gated Three bedroom two bath home has new carpeting and freshly painted interior. New interior LED lighting and thermostat. This cozy home has lots of parking with a concrete parking area in front plus the 2 car garage & a pull-thru gate so you can access the backyard. The large lot also features grassy areas, in front & back for: play, a garden or a pool?? BONUS: ROOM FOR RV & DESERT "TOYS" & The large outdoor shed has loads of room for storage or a workshop! LOW PROPERTY TAX AREA! NO HOA. Make this home your own!